Wood Carving Art - "Ottoman Turban Stand". 3D Wall Art for your Living Room as a Rustic Home Decor. An Original Artwork for You. Turban was a kind of headdress during the Ottoman Empire. People were using turbans as an important signifier of their jobs, ranks and social status. Since it is very difficult to assemble a turban again, once done it was left intact. There were turban stands like the today's hat racks to put them when they were not used. Today they are used as decorative objects as a remembrance of history. 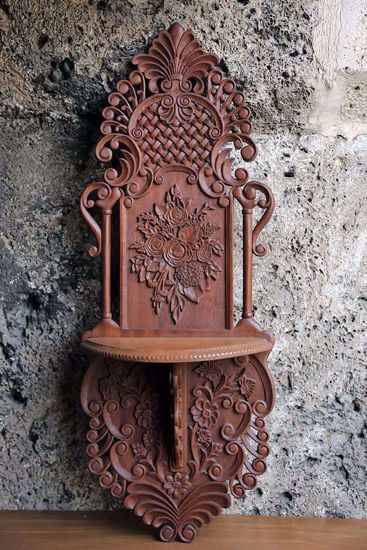 The Ottoman Turban Stand is carved from Sipo. There is no dye and stain involved. Wood has been finished with natural wax.